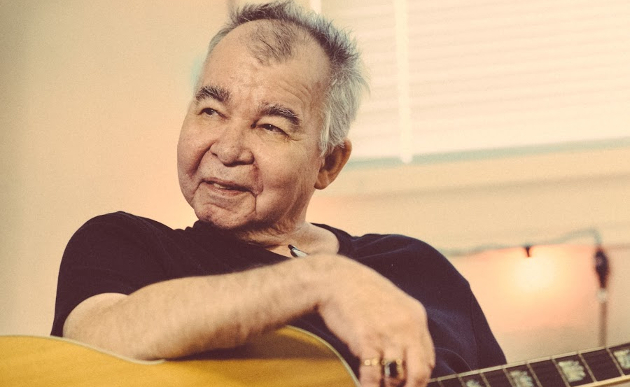 If you didn’t already believe that John Prine has been enjoying what now can only be described as a historic resurgence in popularity, try this news on for size. Tuesday morning (10/9), the annual nominees for the Rock & Roll Hall of Fame were announced, and none other than John Prine is on the list. The nomination comes as John Prine set historic numbers for the release of his 2018 album The Tree of Forgiveness—his first album of original material in 13 years. He also won the Americana Artist of the Year for the second year in a row in September, as well as BMI’s Troubadour Award, and has been enjoying a resurgence in popularity as younger artists embrace him as a songwriting pioneer and legend. Though often more associated with country than rock & roll, Prine’s influence and songwriting credits most certainly range into the rock world as well, with Bob Dylan, the members of Pink Floyd, and many more current Rock & Roll Hall of Famers singing the praises of Prine as a primary influence. Hank Williams and Johnny Cash are also Rock & Roll Hall of Fame members, and Johnny Cash was also a major proponent of Prine. To be eligible for nomination to the Rock & Roll Hall of Fame, an artist or band must have released their first commercial recording 25 years prior to the year of nomination. From here, the nomination process moves to ballots sent to an international voting body of more than 1,000 artists, historians and members of the music industry. This isn’t just about popularity, which would put Prine at a disadvantage to some of the superstars on the nominee list. An artist’s musical influence on other artists, length and depth of career and the body of work, innovation and superiority in style and technique are all taken into consideration. Fans can also participate in the induction selection process by visiting rockhall.com to cast votes for who they believe to be most deserving nominee. The top five artists, as selected by the public, will comprise a “fans’ ballot” that will be tallied along with the other ballots to choose the 2019 inductees. Voting is capped at one ballot per day. Inductees are set to be announced in December 2018, with the induction ceremony to be held at Barclays Center in Brooklyn, New York on March 29, 2019. HBO will broadcast the ceremony in 2019, and SiriusXM will also carry a radio simulcast, along with specials leading up to the ceremony on Rock & Roll Hall of Fame Radio (Ch. 310). Ticket on-sale information will be announced in January. There’s only a few on that list that are qualified rock and roll artists. Not a big fan of Chaka Khan? Hey, the Rock & Roll Hall of Fame is a mess. But if they want to nominate Prine, I’m all in. And the weak field of nominees this year only makes it that much more likely he’ll get in. I wouldn’t be too unhappy to see John Prine inducted, just on the basis of the much-covered “Angel From Montgomery”. As for the womenfolk, however, one can’t count out Stevie Nicks. She’s in there already, but as a member of a group (Fleetwood Mac), not yet for her solo work, which is itself a very big deal. And she was there with a whole lot of other women (Emmylou Harris; Carrie Underwood; Bonnie Raitt; Sheryl Crow) in 2014 to induct her fellow Arizonan Linda Ronstadt. And one should give an extra listen to her 1982 hit “After The Glitter Fades”, which is very much in the country-rock mode of Linda’s classic 1970s albums. In truth, while we may think that country radio shafts women to an unholy degree, consider how much worse it is with the Rock and Roll Hall of Fame, mostly because the people who consider who gets nominated and who stays out are seen as stodgy white male rock critics. Both Dusty Springfield (the legendary British “blue-eyed soul” vocalist of the 1960s) and “disco diva” Donna Summer got inducted, yes, but only after each of them had died. And who wants to place bets that Linda herself would have been inducted in 2014 had she not publicly announced that she had Parkinson’s? Bebe Rexha has the #1 COUNTRY song, and John Prine is nominated for the ROCK hall of fame. What the heck is going on? Can’t lie. Only reason I know this name is because of Sturgill. Since then though I’ve dug in and recognized a lot of his songs. Certainly deserved. I can’t decide whether I like that the RnR HOF includes rap, pop, etc. But I know I don’t like the idea of 50 million different HOF’s either. That’s why the Country Music Hall of Fame does it best. It’s lost focus on what it was supposed to be, I think. So many deserving Rock and Roll artists have as of yet not even been nominated. Prine is a swell guy, really. Decent writer, influenced many, yes. Rock and Roll? Not so much. Truthfully, I doubt he gets enough votes. It’s an honor though to be nominated so congrats to him. Part of the issue with The HOF is politics. Of course they are being criticized for being too exclusive, so they are accepting rap and pop these days. The reality is, no one’s gonna build a rap hall of fame, at least at this point. So the definition of “rock and roll” has been stretched to basically include anything in popular music culture. And if you have been there, it’s a big building but already utilizing most of its space, so realistically they are eventually gonna run out of room for further displays. That’s a real problem. It’s a great building, to be sure, designed by noted architect Frank Gheary , check my spelling on his name, but it’s a major tourist draw to Cleveland. I wish I had a simple solution. Another factor that’s been cited, is do young people wanna tour of museum of dead people who played music they don’t care about. That’s a seperate discussion entirely. Excellent choice. The R&R HoF needs this inclusiveness or else it will go the way of the Ragtime Hall of Fame. Pretty weak field no doubt but id be lying if i said i never used to rock out to some Rage! Their Battle of Los Angeles record was killer. Prine’s already in the Nashville Songwriter’s Hall of Fame. And that to me is the bigger honor. By far. The list of inductees in the NSHofF is all killer no filler and will make pretty much everyone here her smile. If you’ve never checked it out it’s worth a minute of your time to google/bing/duckduckgo it. The fact that there is a functional “Rock & Roll Hall of Fame” without already having Def Leppard in it is quite eye opening.. That early 1977-82 stuff was really good (High & Dry , Pyromania, etc). Then the 80’s “hair” period with Hysteria , one of the biggest selling albums of all time. Man, they had some good stuff. John Prine is a classic. Isn’t that what HOF is all about. I was John’s Roadie for a while in 1973. Definitely one of the best songwriters alive. What an early birthday present it was. Today is his 72nd. The Prine Austin City Limits was pretty awesome this weekend. Nice having Tyler on there..
Tree of Forgiveness material live was great.